Mix & Match! We'll add the total of all your sacrament booklet choices together and give you the lowest possible price on the whole group! Just make your choices using the "drop down list" above and check-out as usual. It is an honor to be asked to be a godparent, but what does being a godparent really mean, and what are the parents—and the Church—asking you to do? 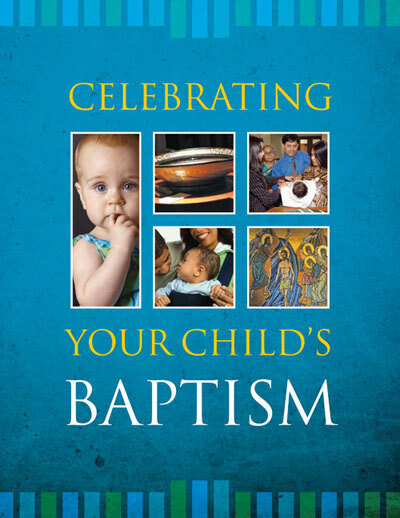 In simple, down-to-earth language, this book tells you what you need to know, before, during, and after the baptism ceremony itself. It also offers practical suggestions about how you can help this wonderful child grow in our faith in the years ahead. Aquí encontraran todo el apoyo que necesitan para renovar su comprensión del sacramento de Bautismo, para renovar su compromiso a la Misa dominical, y para renovar su práctica de la oración diaria como familia. Este librito les guiará y animará para que sean los mejores padres posibles y los mejores modelos de fe para su bebé. Celebren el bautismo de sus hijos es una guía sencilla para los padres que piden el bautismo de sus hijos. Es un manual básico para llevar a casa, para el estudio y la reflexión. Incluye una visión general del sacramento, preguntas planteadas con frecuencia, y una colección de oraciones familiares. El Imprimátur es de la Diócesis de Norwich, CT.
First Communion isn’t an endpoint. It’s the beginning of a new phase in the faith journey you share with your child. And, as your child’s first teacher in faith, you have been called by God to accompany your son or daughter to First Communion. And what a joy and privilege it is to teach your child about Jesus’ loving gift of himself in the Eucharist. Here you’ll find plenty of encouragement, help, and support for the months and days leading up to your child’s First Communion—and well beyond.